Between Avinguda Diagonal, packed with shops and commercial establishments, and the football crowds of the Camp Nou, the district of Les Corts unfolds like a landscaped Barcelona for you to wander round and discover, halfway between its rural past and an elegant residential neighbourhood. 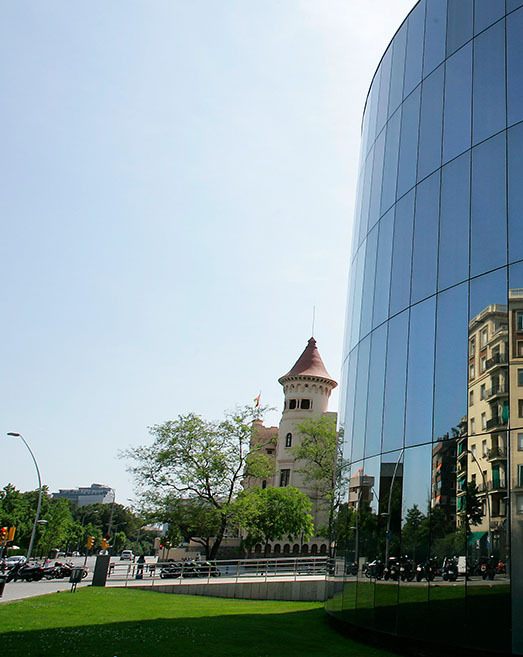 The Les Corts district offers the tranquility and elegance of one of the city’s upper reaches, although it still maintains its rural and working-class feel. Originally, between the 12th and the beginning of the 19th centuries, the land where Les Corts lies was sparsely populated, with only a few farmhouses dotted here and there, close to the streams flowing down from the Collserola range. Located to the west of the city, between the Sants and Sarrià municipalities, this was a free land with no municipal ties and which depended directly on the crown. This explains the construction, in the upper part, of the royal monastery of Pedralbes. Established by King Jaume the Just in the 14th century on land owned by the Franciscan monks of Les Corts, he built it as a retreat for his wife, Elisenda de Montcada, who wanted to found a monastery for Clarissa nuns. 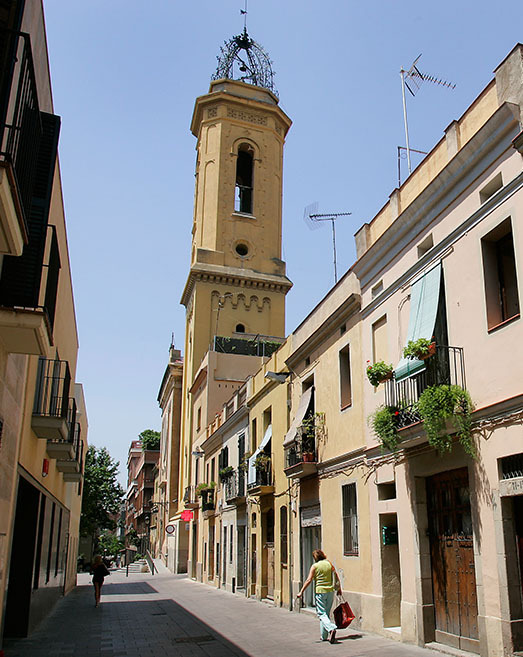 The free land became a municipality in 1836, but it maintained its centuries-old links to Sarrià, particularly in ecclesiastical terms, as Les Corts did not have its own parish until 1849, when the church of Santa Maria del Remei was completed. 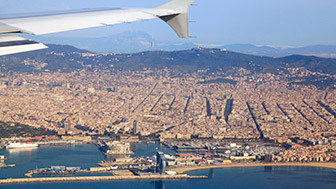 After 1897, it was annexed to Barcelona and from then on it saw progressive urbanisation. Today it is a transitional district, running down from the better-off classes in its upper parts to the middle-classes of more traditional Barcelona, although there are still a few remnants of its rural origins, like the Can Rosés farmhouse, now a library. What it does preserve from that rural past, and what are perhaps its most attractive features, are the parks and gardens of its three neighbourhoods: Les Corts, Pedralbes and La Maternitat i Sant Ramon. The most lively and working-class neighbourhood is Les Corts. It has cute and unique squares where you can enjoy the tranquility, like Plaça de Comas, where the monument to the farmer Pau Farinetes gives us a clue to the agricultural past of the district. 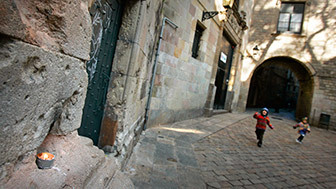 The Maternitat i Sant Ramon neighbourhood is home to some of the most important places in the lives of barcelonins, the residents of Barcelona. One of these is Camp Nou, the stadium of Futbol Club Barcelona, which turns this neighbourhood into a party on match days, with a loyal fan-base that follows the club's fortunes en masse. Another vitally important spot is La Casa de la Maternitat, which conceals the Maternitat gardens, a large park dotted with Modernista buildings where you can enjoy the fresh air and calm. There are huge grassy areas that stretch from one side to the other and wide gravel paths that harmoniously unite the Modernista pavilions with each other and the entrances to the gardens. At one end of the district, where it borders on the municipality of Hospitalet de Llobregat, is the new Parc de Can Rigal, with little-known and very attractive gardens incorporating sustainability measures: a total luxury for anyone wishing to enjoy a little green in the middle of the city. Going up to the higher parts, near the royal monastery, the Les Corts district is home to the Pedralbes neighbourhood, one of the most select in Barcelona, and where today's better-off citizens reside. 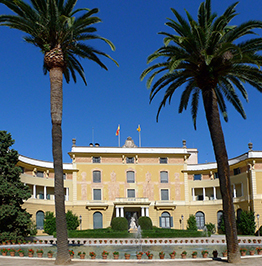 In Zona Universitària, bordering on Avinguda Diagonal, are two of the most beautiful and unusual gardens in the city: those of the Palau de Pedralbes, full of noble charm, and Parc de Cervantes, specialising in rose-growing and which in springtime becomes a treat for the eyes and nose. In the Les Corts district, losing yourself in the parks and gardens is like travelling back into a nature-filled past, whilst at the same time making it possible to enjoy a harmonious, green break in the middle of the city. Peaceful, elegant and with a life of its own concentrated in its charming squares, the Les Corts neighbourhood conceals traces ofa rural and industrial past. 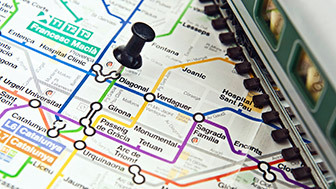 The Zona Universitàra is in the Les Corts district, either side of Avda Diagonal. 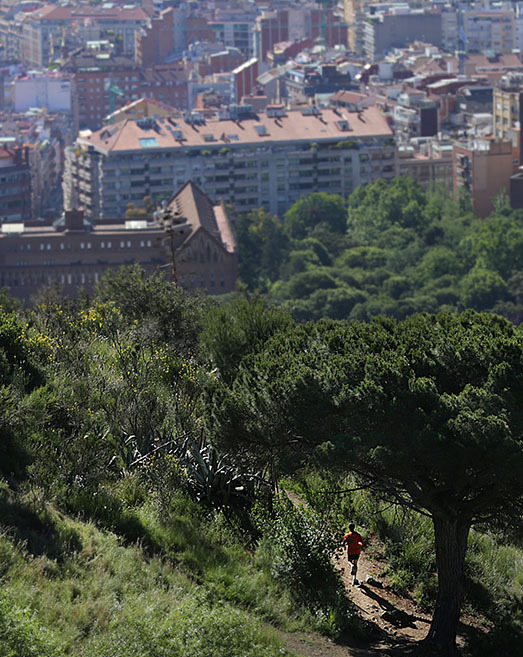 This university area has some large, green spaces and several of Barcelona's most iconic gardens. 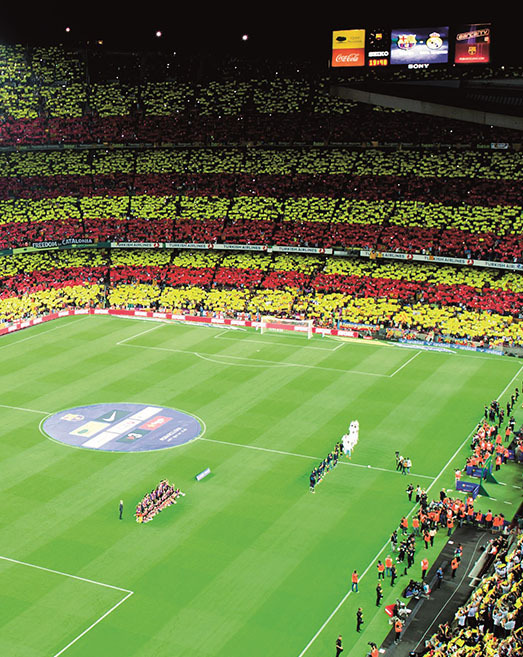 Camp Nou is the epicentre of football in Barcelona. It houses Barça's stadium and also the club museum, one of the most visited museums in Catalonia. 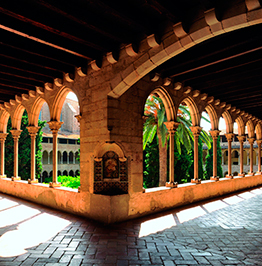 At the top of the city is the Monastery of Pedralbes, a Gothic architectural gem that boasts an impressive cloister. Among the modern buildings and faculties on the Diagonal is the Palau de Pedralbes, a symbol of the stately architecture of the past.